Federico Garcia Lorca based his play Blood Wedding on actual events that occurred in 1928. The ill-fated wedding was to take place at the Cortijo where the bride lived with her father. Hours before the wedding, she attempted to elope with her cousin instead, but he was shot and killed by the groom’s brother before they could get away. 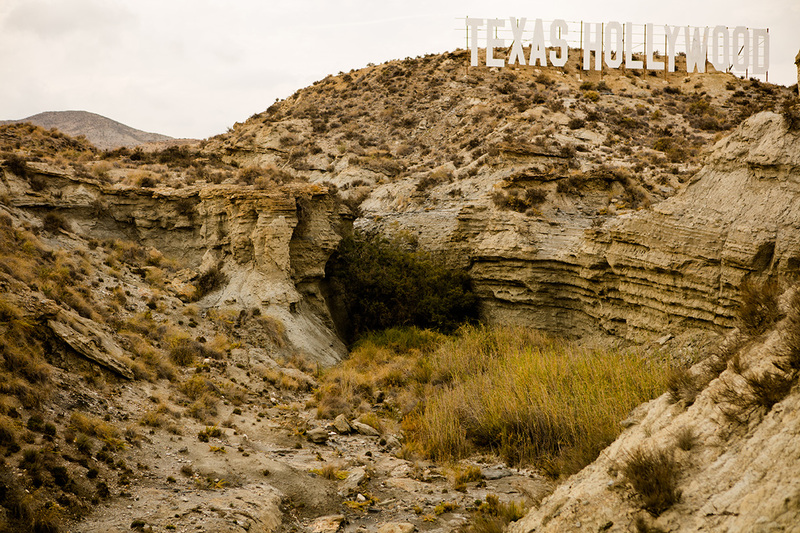 In his stage directions, Lorca suggests the bride’s home appears in a “panorama of brownish plains, everything hardened like a landscape of ceramic.” The interior of the cortijo served as Indio’s hideout in For a Few Dollars More (1965), and the exterior appears as the San Antonio mission in The Good, the Bad and the Ugly (1966).